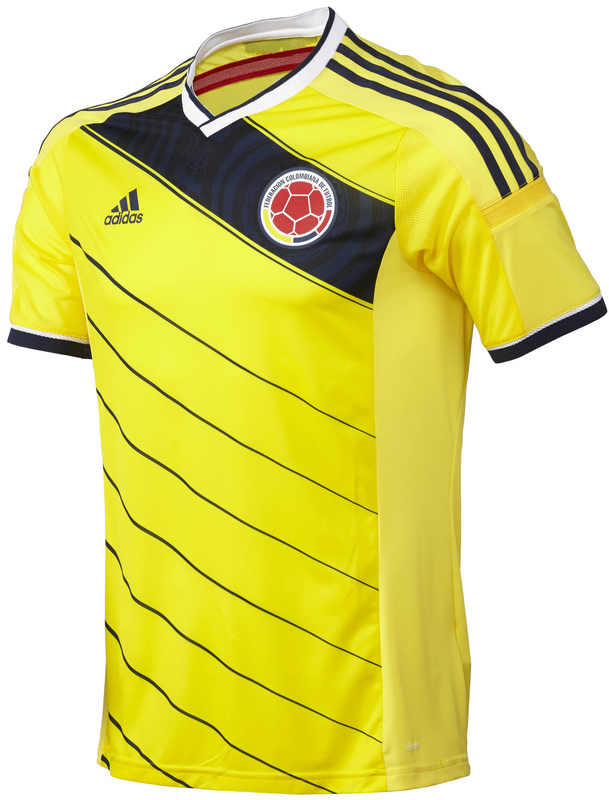 The new design of the Colombian jersey draws upon symbolic elements that pay tribute to the South American country. The base color is yellow, which is combined with elements of red, blue and white, mirroring the Colombian flag. • The 'Vueltiao' Hat: One of the most important national symbols of Colombian culture is printed on a blue strip in the upper front side of the jersey. • The Andean Condor: The wings of this national bird of Colombia, a symbol of strength and hope, are in the back with the colours of the flag, linked to the phrase #UNIDOSPORUNPAIS (which translates to 'united for one country'). This message reflects the national sentiment that unites all Colombians under their national team. • White: The colour of peace is present on the sleeves and the neck, as in the shorts, making the uniform more elegant and fresh. The new Colombia kit is available now in selected adidas retail outlets, associated stockists and via www.adidas.com/worldcup.